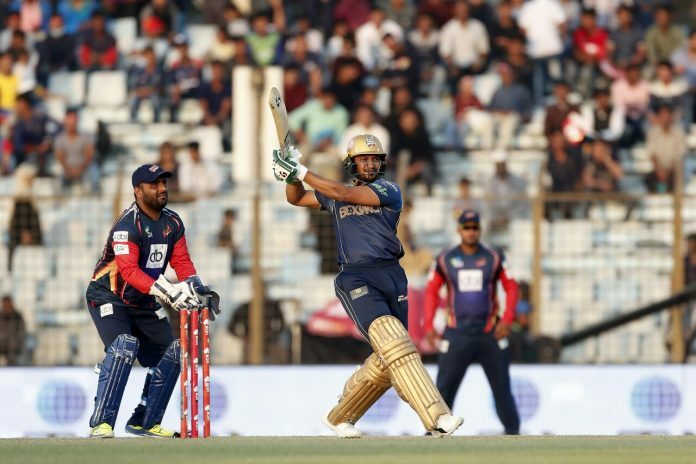 The playoffs of BPL 2019 will began with the Eliminator match between Dhaka Dynamites and Chittagong Vikings at Mirpur. In the two group stage matches, Vikings beat Dynamites. Both team started off the season in fine touch but then lost the momentum in the last couple matches. Dynamites were slipped from top of the pointst table to the fifth spot before their last match after suffering five defeats in a row. Shakib’s team had to beat Khulna Titans to stay in the tournament where they sealed an easy 6 wickets win. Dynamites will be boosted by the inclusion of all-rounder Luke Wright ahead of the playoffs. Vikings on the end also suffered some rough periods in their home venue which made things difficult for them lately. But they bounced back just in time to secure their place in the playoffs. Skipper Mushfiqur Rahim is leading the side from the front who is currently the second top scorer of the tournament. Vikings lost opener Mohammad Shahzad who returned for national duty. But Robbie Frylinck and Mosaddek Hossain are fit to play which will give Mushfiqur’s team a relieve.